Damn you High Llamas, because of your music, it’s left me all in a mellow and pacifying mood. Now, like never before I seem to be drawn to music that’s sedate and placid. Take this particular tune by California Snow Story for instance, I find no flaws and it’s addictively good, so why in the world can’t it come up to scratch as a Good Golly. 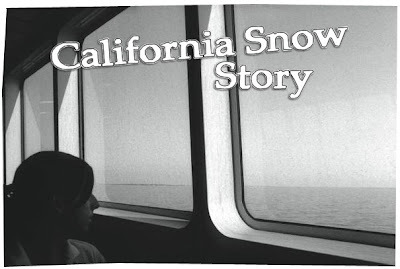 California Snow Story is a Scottish-based band, formed by David Skirving in 2002, who’s also a former member and founder of the critically acclaimed twee pop band, Camera Obscura (I’m pretty sure everyone’s heard of Camera Obscura, if you haven’t, you can always do so, by clicking here). They’ve currently just released a full-length debut, Close to the Ocean last May this year. 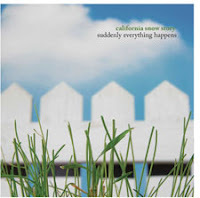 ‘Suddenly Everything Happens’ is easy, breezy music drenched in a bucketful of soothing ambiance. Light, congenial sounds of the organ intertwined with smooth guitar lines introduce itself at the opening of the track before giving way to mellifluous, wispy vocals of both David Skirving and Sandra Belda Martinez that alternates between each verse. The tune lulls you, leaving you more immersed in your abstraction with its discreet and hushed tones. It’s another one of those perfect soundtracks to breezy light-hearted days, come autumn. Do as I say: try it!